Some movies always seem fresh. 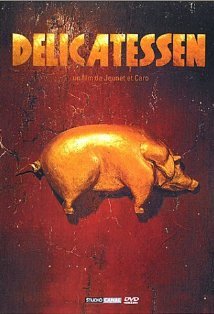 Although it was released nearly twenty years ago in 1991, â€œDelicatessen,â€ from the French directing team of Marc Caro and Jean-Pierre Juenet (â€œCity of Lost Children,â€ â€œAmÃ©lieâ€), still feels as exciting and innovative as it did the day it premiered. Equal measures David Lynch and the Coen brothers, this dark and inventive comedic horror film still delivers more than its share of laughs and shivers. Owner of a delicatessen and landlord to the tenants in his building, Clapet (Jean-Claude Dreyfus), is doing everything he can to insure the survival of himself and his daughter, Julie (Marie-Laure Dougnac). They live in a post-apocalyptic world where everyone is desperate to gain a ration of food. (So scarce is food that goods and services are paid for with lentils, rice and corn.) This is the dilemma of all who live above the delicatessen, as well as everyone who still lives â€œout there.â€ However, for Clapet, desperate times require desperate measures. But there is only so much one can do in hard times. 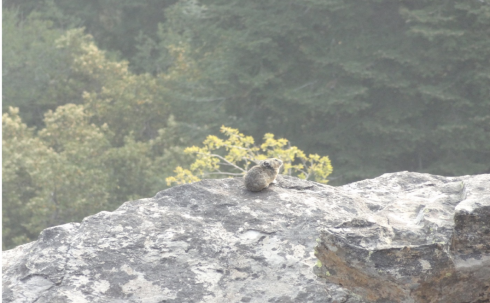 Clapet and his tenants have set up an unusual system for their survival. Clapet runs an ad in the paper for a handyman. When the unsuspecting applicants show up they have no clue that their time on the job will be very short; they are the tenantsâ€™ next meal. This system seems to work for Clapet and the other tenants. Much better than it does â€œout there,â€ where people are forced to draw straws to determine who will become dinner. There is one problem, though: Clapetâ€™s daughter, Julie. It is obvious from the beginning that she has a distanced relationship with her father. She keeps to herself in her apartment, playing the cello, painting and drinking tea. But when the new employee, Louison (Dominique Pinon), a former circus performer, arrives, everything changes. Julie begins falling for Louison as they begin spending more time together. The question is: what will happen? Will Clapet give up Louison for the sake of his daughterâ€™s happiness? How can he with all the pressure from the other tenants, just as the last ration has run out. Can Julie do something, or convince her father to let him go? Although â€œDelicatessenâ€ may sound morbid and disturbing, it is written from a darkly comedic standpoint. Mark Caro and Jean-Pierre Jeunet filmed with a cartoonish and surreal style, leaving the viewer feeling calm and relaxed despite the horror that is involved. This French film is one to add to the collection. For anyone who enjoys dark comedies, â€œDelicatessenâ€ is a sure delight.